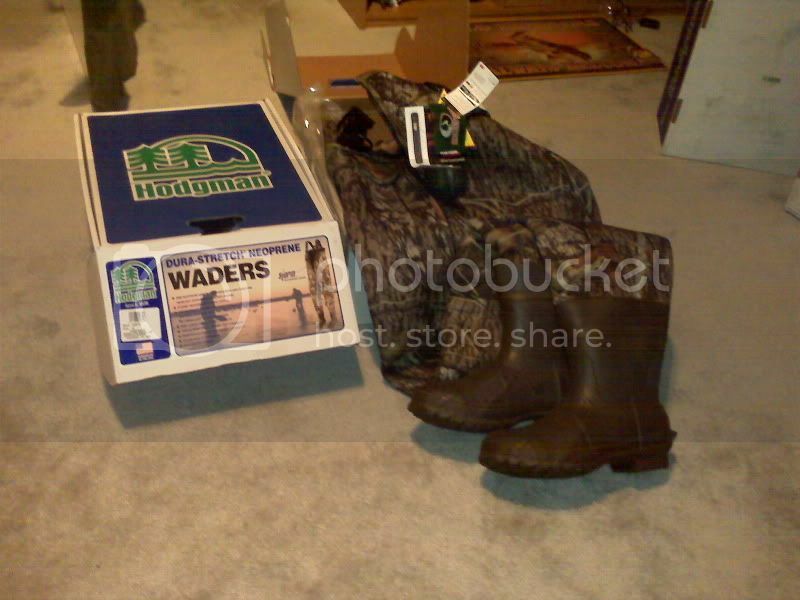 I have 2 pairs of Hodgman Dura-Stretch Storm 5mm Neoprene Bootfoot Chest Waders. All manufacturer tags attached and in original plastic wrap packaging. Both pairs size 10 regular. Mossy Oak Breakup camo pattern. BUT, they can BE YOURS for $150.00/pair!!!! I have sold the size 8 and 11. Im keeping the 9s for myself... so only 2 pairs of 10s left. Will meet buyer in Houston area.